A range hood is a kitchen appliance that is designed to remove unwanted smoke, steam, odors, grease and other fumes from the kitchen, ventilating a kitchen cook-top and returning clean air to the kitchen. These kitchen devices are essential for promotion of the clean air in the kitchen and the surrounding living spaces. 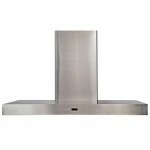 Not only that, a range hood maintains air quality and temperature, making kitchen clearance much easier. 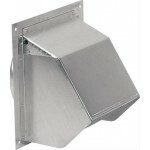 A common range hood consists of a canopy, a tangential blower, a fan and a grease filter. Some advanced models have lights for additional illumination of the cooking zone. 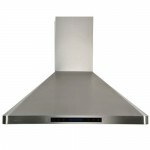 There are many styles, types and designs of range hoods on the market today. They differ by color, size of the hood and duct, and the capacity that is measured in cubic feet per minute. At the same time, there are ductless and ducted types of kitchen hood according to application and three hood mounting types such as island (or ceiling), wall (or chimney-style) and under-cabinet devices that connect to the bottom of kitchen cabinets that surround the cook-top or the stove. Ductless hoods use filter contained activated charcoal to remove smoke, odor and grease particles from the air; afterwards it releases the cleaned air back into the kitchen. 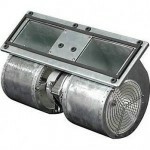 Though the hoods of this kind don’t perform as well as their ducted counterparts, they are easier to install as they will not exhaust the polluted air out and therefore, require drilling no holes and engineering no vent ducts. 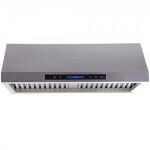 A ductless hood is a good option for small apartments where drilling is prohibited or for special designing where there is no choice to install vents. These hoods need not much space but they require routine cleaning of filter with soapy water. In addition, the charcoal filters are to be replaced regularly. Ductless hoods are not as expensive as ducted appliances but they are less durable and noisier than ducted devices. 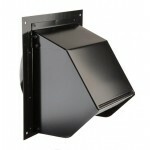 Ducted hoods are designed to expel steam odor and grease from the kitchen to the outside area. They provide optimal performance and can be used for professional use. The hoods of this kind cost more that ductless devices and they require more complicated and therefore more expensive installation They are larger in dimensions and need place to construct vents. At the same time, they need only basic cleaning every 6 month. Regardless of what type of range hoods you decide to purchase, a modern high-quality device will not only ensure comfort ventilation in the kitchen, it will be a decorative item that will emphasize the style and look luxurious. In addition, it will be cost effective and will allow the user to save on energy consumption. Westside Wholesale offers an extended line of kitchen range hoods that would suit any new or remodeled kitchen style and décor excellently. With such a huge selection on the market it is easy to choose a reliable, beautiful and functional hood of the best suited size, type, brand and color that will keep the air in your kitchen clean and odor free. Westside Wholesale strives hard to offer customers only the best of the best in modern, top-quality kitchen range hoods at the most competitive prices. 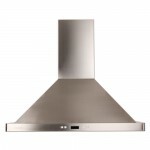 The kitchen range hoods that are featured at Westside Wholesale are highly effective in removing grease, smoke, fumes and other odors from your kitchen, keeping its air, walls, cupboards and ceilings clean and fresh. There are models of different performance levels from 100 cubic feet per minute (CFM) to 1200 CFM, which is usually adjustable by speed control feature. 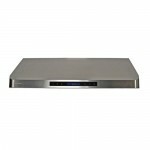 They are easy to install, stylish and elegant, come in splendid designs and perfect colors such as stainless steel, white, biscuit, almond, black, copper and silver. 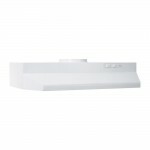 These top-quality hoods from the most reliable and popular brands such as Air King, Broan and Cavaliere maintain the most comfortably quiet noise level and energy efficiency which means that they save on power and your energy bills. 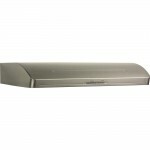 Under-cabinet range hoods are easy to install, quiet, inexpensive and they don’t take up a lot of space. 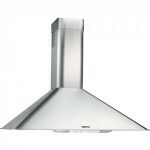 Wall mount hoods are highly-efficient, elegant and stylish, matching style and décor of any kitchen. 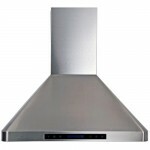 Chimney range hoods are stylish, easy to maintain and they provide the highest possible performance for domestic or professional use. 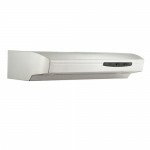 Ductless range hoods are the best options for the kitchens that don’t have access to ducting system. They are the least expensive, compact and easy to install. 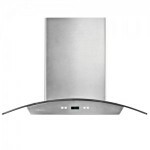 In addition, there is a variety of kitchen range hood accessories such as liners, dampers, blowers, soffits, adapters, back splashes, replacement filters, chimney extensions and other important hood parts.